Andalusite is named for Andalusia, the province in Spain where it was first discovered. Andalusite is a somewhat rare stone, so many jewelry designers have never heard of it. 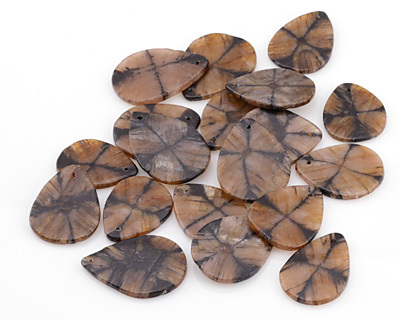 It's a hard stone and great for jewelry making! 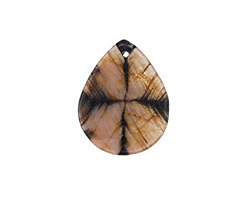 The variety of Andalusite called Chiastolite is sometimes referred to as "cross jasper" because nearly every stone contains inclusions of graphite which form a cross in section. For this reason, some ancient texts refer to this gemstone as “Lapis Crucifer”, which means “cross stone”. 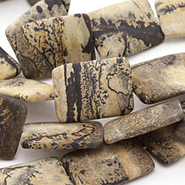 Our Andalusite gemstone beads are a lovely rosy-brown color; each bead is marked with a striking black cross. 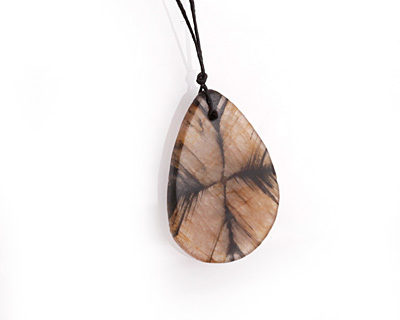 This stone would look fabulous with our black onyx beads or our onyx cz beads. Andalusite is an alumino-silicate mineral.